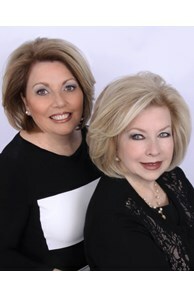 With more than 30 years of combined experience as Realtors, Nan Reil and Vincenza Montrone have incomparable command of Somerset, Morris and Hunterdon counties. For sellers, the result is extraordinary activity and advantageous pricing. For buyers, no opportunity is overlooked. An inseparable team, they assure clients of 100 percent availability, 100 percent of the time ... a quantum leap in dedication, ingenuity and determination. From market knowledge to strategic advice, from first impressions to successful closings, they over-deliver on excellence. Enthusiastic and sincere, at ease and upbeat, Nan and Vinnie know how to make dreams come true. Ranked among the company's top agents nationwide, their positive approach has produced nearly $300 million in closings across a spectrum of properties from resales to new construction to classic country estates. Above all, Nan and Vinnie build relationships on impeccable honesty and personal trust. Clients return their loyalty time and after time with repeat business and referrals. Their reputation says it all: when it comes to buying or selling a home, experience is indispensable, diligence is essential, attitude is infectious, and integrity is everything. 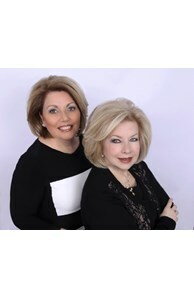 Nan is a business school graduate and holds a New Jersey Real Estate sales associate license. She is a Relocation Specialist, a Previews International Property Specialist, and New Homes Specialist. Vinnie is a graduate of Jersey City State College. She holds a New Jersey Real Estate sales associate license. She is a Previews International Property Specialist and Relocation Specialist. Continuing education in all fields of the real estate industry is paramount to their business. Previews International Specialist, International President's Elite, Relocation Specialist, New Homes Specialist. Consistent top producers in mega office. Luxury Properties, Country Estates, New Construction, Resales, Land. Highly experienced in dealing with celebrities, corporate officers, and other high end clientele. Confidentiality is strictly respected. Vinnie isextremely active in Kentucky Care, a project aiding families in Appalachia. She along with her husband began the program sixteen years ago and return each year to Kentucky with trailer loads of food, clothing, furniture, and toys, She is also a past member, Board of Trustees at Far Hills Country Day School. Nan, also conducts a neighborhood drive for Appalachia each year and is active in fund raising for Leukemia Foundation. Vinnie is a former elementary teacher and is married with a daughter, Gina who graduated from Boston College and the Lee Strasberg Theatre and Film Institute in Manhattan. She has been a resident of Mendham Twp. for 22 years and has been active in real estate for 16 years in the Premier Bernardsville office. Nan has been a resident of the Somerset Hills area for 22 years and has been active in real estate for over 14 years. She is married with two children, Stephen, 19 and Nicole, 18. Both Nan and Vinnie take pride in their participation in community events and fundraisers. Bernardsville, Basking Ridge, Bedminster, Far Hills, Peapack-Gladstone, Bridgewater, Warren, Tewksbury, Mendham Boro and Mendham Twp., Morris Twp., Morristown, Harding Twp., Florham Park, East Hanover.